The measles outbreak in Ontario is in the news now but last spring, there were hundreds of confirmed cases in B.C. In the U.S., the outbreak there has some California doctors refusing patients whose parents won't have their kids vaccinated. It is a polarizing moment in health care. Today, we hear from the mother of a child whose health won't allow vaccination and a mother who chooses not to vaccinate her kids. 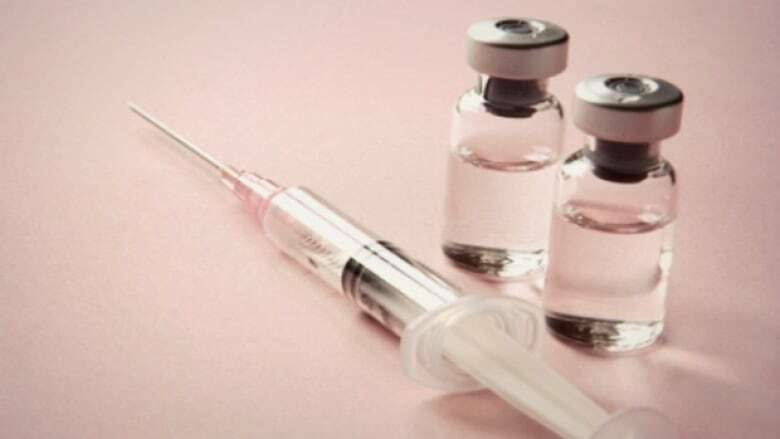 As measles continues its ugly comeback, some tensions are running high... both here in Canada, where there are 6 confirmed cases in the country's largest city, Toronto; and in the U.S., where the number of confirmed cases is now more than a hundred. Those tensions, of course, are between parents who keep their children up-to-date on their shots, and those who have decided not to vaccinate... a.k.a. anti-vaxxers. Meet a few people who know just what's at stake. Pascal Tarakdjian is a teacher at Ecole Marie Rivier in Drummondville, Quebec. In 2011, he was one of the first to catch the measles in his community, and it's likely he helped spread the infection to others in his school. Eventually in that outbreak, more than 700 people in Quebec were infected with measles. Pascal had been vaccinated himself, but it was in the 1970s, and he never had a booster shot. His recovery was long and slow, but all things considered - he got off lucky. Ruth Bahri from Victoria had a brother-in-law, Toufik, who wasn't so fortunate. He caught the measles when he was a toddler. At fist, by all appearances, he got over it. Toufik was living in Morocco at the time. So Ruth and her husband brought Toufik to Canada. They got help for him from the Children's Hospital of Eastern Ontario in Ottawa. That's when they found out he had had a rare complication from the measles he had as a young boy. It's called subacute sclerosing panencephalitis or SSPE for short. Two years later, he died. It's stories such as these that are putting many parents on edge ... even making some angry. Mallory Olsheshki from Pembroke, Ontario is one such mother. She has four children - the youngest, Riley, is immunocompromised, which means for medical reasons he cannot get vaccinated. She was in our studio in Ottawa. Darlene Tindell is a mother of two children - 10 and 12 years old. She practices what she calls energy medicine and teaches yoga in Sudbury. Darlene has chosen not to vaccinate her children. We know many of you will have thoughts to add to this discussion. Tweet us @thecurrentcbc. Ore-mail us through our website. Find us on Facebook. Call us toll-free at 1 877 287 7366. This segment was produced by The Current's Sonya Buyting.